The rhythmic clanking of the looms in the village of Pochampally has a positive beat these days. Traditionally, the community of weavers and artisans use natural dyes and a unique method of dyeing, to spin colorful dreams in geometric designs that are rich and attractive. It’s an activity that involves the entire family – while one member dyes the threads, another one winds it up, a third member marks out the design on the warp threads and another person weaves the fabric. It takes 10 hours for four members of a family to weave one sari and then to sell this one product they had to depend on a wholesaler, a trader or dealer, which was a huge dependency. A case in point is Nagalu Balayyya, a third generation weaver who recalls how nobody one came forward to help him. However, in September 2016, the weavers were exposed to the wonders of the digital world and e-commerce. Amazon, along with the local government, introduced them to an App that allows them to reach out directly to customers and sell their products. But given the non-tech backgrounds of the weavers and their traditional habit of selling, the switch was not easy. Handling customers online required different skills and it took time to learn them. Though tedious at first, the benefits were gradually trickling in. An Amazon App downloaded on the smart phones was giving weavers direct access to customers - ensuring not just a better price realization but also direct access to customer feedback – two critical components to succeed in the marketplace. Master weavers at Pochampally who are registered with Amazon fulfill 11 orders on an average per week. The returns on these products are 10 to 20 percent higher. This enables them to buy more raw materials and increase their inventories. 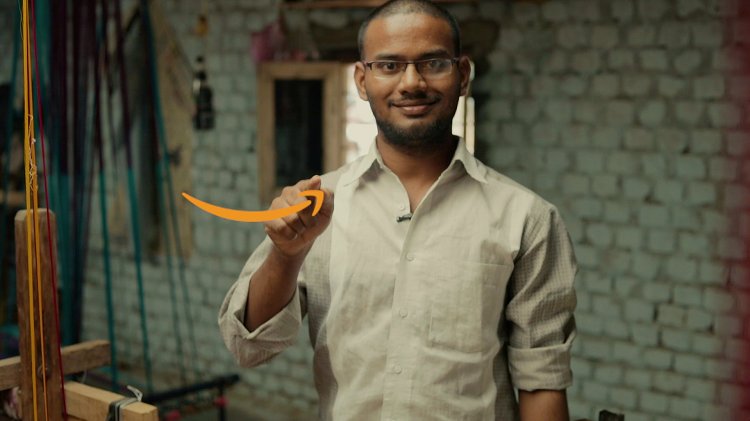 The many weeks that the Amazon team had spent with the weavers, helping them understand how e-commerce works was finally bearing fruit. The weavers now are trained on how the App works, how to register as Amazon sellers, got to know the importance of images, and how to shoot them and post them on the website using digital product catalogues. They also are now familiar with the processes to be followed for taking orders, fulfilling them using resources that are faster, cheaper and more reliable and handling customer feedback. The younger generation of weavers is thrilled. Srikanth, who is just 23 years old, embodies this generation of weavers. A graduate, he remembers how his father and grandfather often got very less for the products. “Our marketing and sales have improved. Our margins have gone up. We are very happy. We can now dream of selling our products across the world,” he beams. The weavers presently make dress materials and bed sheets in addition to saris. Today, they are better off economically and they can unleash the full potential of the digital marketplace and this would open up the entire world market for them – without leaving home and hearth. Ganesh, who had taken up a data entry job in Hyderabad, is back home picking up the threads on the loom. As he weaves magic into the warp and weft of the garment, he dreams of a better world for his family and future generations. 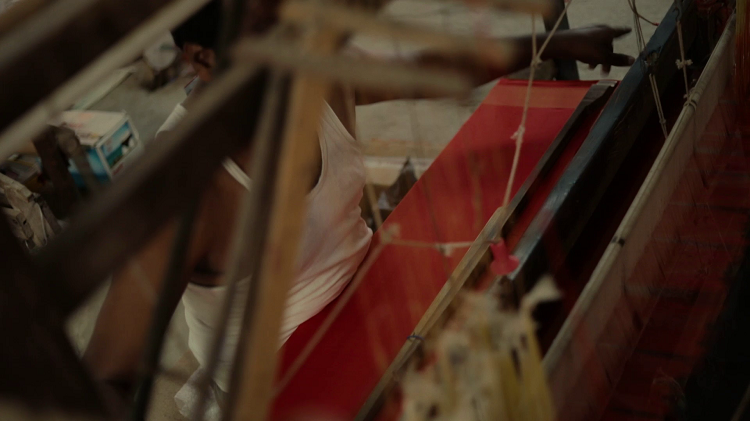 In rural India the handloom sector is the second largest employment generator, after agriculture. The Amazon initiative has opened a few doors and many are making use of this opportunity to reinvent themselves. This could mean a bright future not just for these weaver families but for strengthening India’s unique status as a handloom destination. And yes, an ancient craft will be conserved.